As the focus in today’s language classrooms shifts from vocabulary lists and grammatical structures to communicative and cultural competence, teachers need to develop new methods of instruction and assessment. In this workshop, the presenter will guide the participants step-by-step through the process of creating an Integrated Performance Assessment as well as standards-based lessons that will prepare their students to be successful on this type of assessment. Please bring a laptop to this workshop. Lisa Shepard is an experienced French teacher and author of the blog, Madame’s Musings. Among the highlights of her 29-year teaching career were achieving National Board Certification (2002, 2011) and being selected as Ohio’s World Language Teacher of the Year (2016). 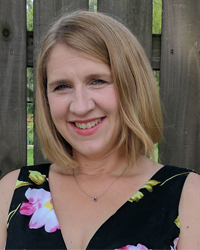 Lisa continues to be active in field of world languages as a co-moderator of the French Teachers in the U.S. Facebook page, a frequent contributor to #langchat and an independent consultant who provides professional development on standards-based instruction and assessment.